Kelly Vilar is the founder and CEO of the SI Urban Center. She has invested her life’s work in helping people to hope, dream and take action in their lives. She has always been passionate about helping others to be socially and economically conscious, and to be activists in their own lives--thus living and sharing her mantra --community development through community involvement. Kelly has been active on Staten Island as a member of Community Board No. 1 chairing the Youth Committee and helping to move forward an agenda for north shore youth to include finding new funds for programs such as the first YouthBuild Staten Island program ever in the borough. 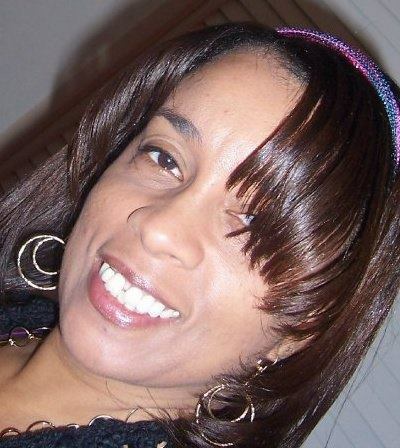 In 2015 Kelly founded the Let’s Rebuild Cromwell Community Coalition dedicated to raising the community voice on youth recreation needs and common sense community development. Kelly is passionate about her volunteer work with the Staten Island NAACP as they annually host the first and only Historically Black College Fair held on the island. At her church, Kelly is a Youth Ministry leader, Chair of the Scholarship Committee and helped to lead the Pastoral Search Committee at Brighton Heights Reformed Church. She also co-founded alongside Yvette Washington Wheatley, the Brighton Heights Reformed Church Youth Orchestra. Kelly is Vice Chair of the Caribbean Cultural Center African Diaspora Institute, a multidisciplinary center for global afro-descendent culture integrating arts, education, and social activism. In Kelly’s early years, part of her life’s work included an invitation from the African National Congress where she traveled with a group of NYC youth to meet the Honorable Nelson Mandela shortly after his release from prison to participate in South Africa’s Conference on Transitioning Government in Johannesburg, South Africa. women achievers and the MUEVETE Youth Conference which still today more than a decade later brings together Puerto Rican Youth as they celebrate and educate each other on Puerto Rican culture and history. ​Over the years Kelly has worked closely with many organizations past and present such as UPROSE–an Environmental Justice organization, Cathedral St. John The Divine, NYS Youth Coalition, Ms. Foundation, National Latinas Caucus, AIDS & Adolescent Network of NY, Hispanic Corporate Achievers of Verizon, and NY Urban League to name a few. For more than 20 years Kelly’s professional work has been in the financial field teaching people how to become more empowered. She holds a Masters Degree in Science-Urban Policy & Planning from the New School For Social Research. 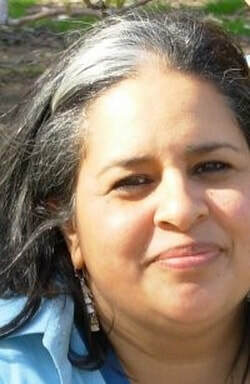 Debbie Quinones is Chair of the Staten Island Urban Center's board of directors. She is long time activist who has worked for more than 30 years on the issues of health, women, youth, policy and the built environment. She is a fellow of the National Hispana Leadership Institute, co-founder of Muevete: Puerto Rican Youth Conference, Young Bucks Sports, Friends of Art and White Park Alliances, and former board member of the Upper Manhattan Empowerment Zone, Civitas, East Harlem Preservation, and Stanley Isaac Community Center. 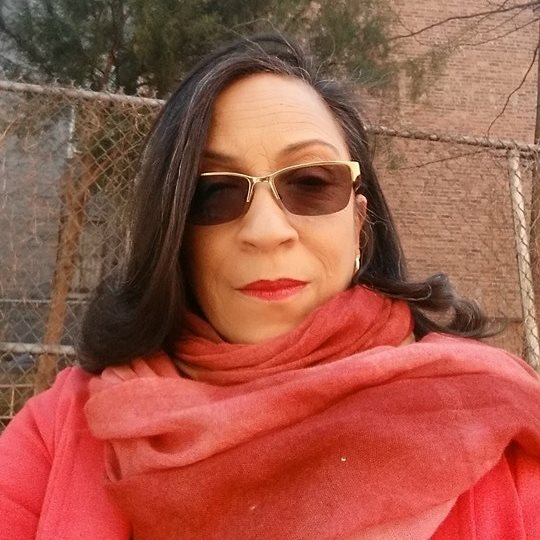 Debbie has made her mark in Harlem as a cultural placemaker developing historic markers in NYC communities through art, preservation, and urban policy development. 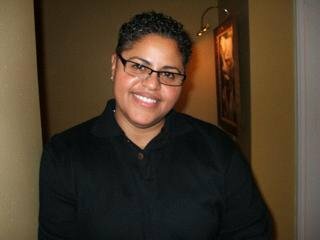 Leslie Colon is the Vice Chair of the board. She is a 25 plus year veteran of the NYC EMS and CPR instructor. Lelie has been a long time activist working on housing and political issues. She was responsible for increasing benefits for more than 10,000 Mitchell-Llama families. Through her work with communities all over NYC she has educated hundreds on how to save a life at the basic level and at a community level, engaging people to get involved in their communities. Leslie is a worldly and an outdoor type of person who loves to travel and experience new things. Leslie loves working with people and is passionate about hitting community goals. Susan Master is the Treasurer of the board. She is an activist on Staten Island with a long family history in politics, real estate and philanthropy. She currently sits on the Waterfront Promenade Committee of Bay St. Landing, Member of the Youth committee of Community Board No. 1 and Let’s Rebuild Cromwell Community Coalition. She has a 40 plus year business career in senior management. Sarah Vilar is Secretary of the Board of Directors. As a retiree, she has lent her expertise as a former 40 year career hospital administrator to be a staunch advocate for senior citizens, quality housing and health care. She has served as past board treasurer for her 20,000 plus residents coop for several years. Sarah has been a leader in her community helping to create a positive environment for local residents. Dawn Rannie White is a member of the Board of Directors. She is a life time member of Brighton Heights Reformed Church and currently an Elder on the Consistory, Co-Superintendent of the Sunday School and member of the Women’s Fellowship. Dawn is currently employed at Catholic Charities Diocese of Metuchen as an Assistant Program Director for Child Care Services. She possesses a Master’s of Science degree from Columbia University School of Social Work and a Bachelor of Business Administration degree from Baruch College. An administrator, social worker, educator and trainer Dawn has extensive experience facilitating trainings in the areas of conflict resolution, youth development, parent education, behavior management, and communication. Roxanne Mustafa was born and raised in Brooklyn and has been a Staten Island resident for 14 years. She lives in St George with her husband and 2 boys. Roxanne is a User Research and Product Designer, and leverages her skills in research and facilitation, as well as her work in Diversity and Inclusion in the technology sector, to help build her community and raise the voice of women and other targeted groups Staten Island. She started the facebook group “Staten Island Women who March” after learning about the immense numbers of women from her community traveling to DC to the Women’s March as a way for the women to stay connected during the event. She was quickly propelled into a leadership position in order to help organize and facilitate the needs of the almost 1000 member strong group which has become a platform for under-represented communities on Staten Island. Her goal is to help build a network of strong, smart and capable Staten Island women to improve their representation in our borough. Armando Alexander Carles also known as Sandy is retired NYC Law Department professional with 40 years of experience in urban planning and development. He is a saavy administrator, facilitator and collaborator with expertise in urban planning, leasing, procurement, proposal preparation and evaluation, and overseeing contract management. He is a founding member of Latinx Unidos of Staten Island; a member of Community Board No. 1. He holds various degrees and certifications including a Masters in Urban Affairs and Planning from Hunter College and graduate studies at New York University. He is an avid collector of MOLAS indigenous textile art from the Island of San Blas, Panama. Olga Ayala is a Nuyorican artist who grew up in the heart of Spanish Harlem. She is a graduate of The High School of Art & Design in New York City where she received most of her formal artistic training. In 1997, Olga discovered polymer clay and has since been working primarily with this medium. Her pieces employ a variety of polymer clay techniques as the core material and as accents in her overall body of work. Olga has been commissioned to design awards for special recognition events and to create custom pieces for private individuals and groups. Her skills as a Prop and Costume Designer have also extended to the Indie-Film Industry and to the Theatrical stage. During the past decade, Olga has evolved into a teaching artist. She has led classes and workshops in schools, museums and at senior citizens centers, throughout NYC and along the East Coast. She also co-founded PRIDA (Puerto Rican Institute for the Development of the Arts).